The view from 477 Mowbray Road, Lane Cove, which was sold prior to auction. The last full week before Easter had the second-highest amount of auctions held across the capital cities for any week so far this year, with Sydney and Melbourne both contributing in excess of 900. According to CoreLogic, there were 2,268 homes taken to auction across the combined capital cities this week, increasing from 1,976 over the previous week and 1,915 over the same week last year. The total is also higher than CoreLogic's initial forecast of 2098 for the period from April 8-14. While volumes increased week-on-week, they were significantly lower than the week prior to Easter 2018 when 3,990 homes were taken to auction. CoreLogic analyst Kevin Brogan said the numbers had to be put in context. "The last week before Easter is typically one of the biggest of the year, in terms of volume," he said. "The volume of auctions in Melbourne was less than half of the volume it had in the week before Easter last year. "What we are seeing is a bit of stability across the market, in comparison to the end of last year when there was a real dropping off of clearance rates." Preliminary results indicate a clearance rate of 58.2 per cent across the combined capitals, meaning it is likely that the final clearance rate will remain above 50 per cent for the fifth consecutive week. Perth was the only city to experience a fall in volumes week-on-week, while all cities except for Canberra recorded an increase in volumes year-on-year. 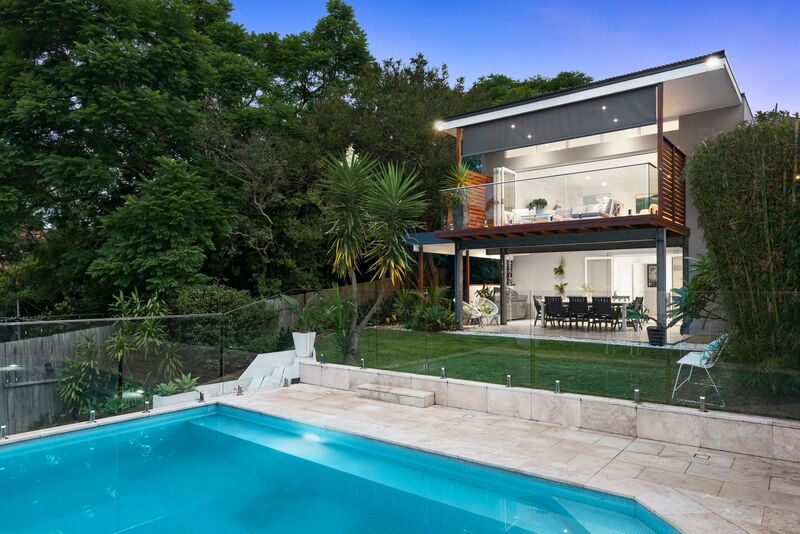 The property at 477 Mowbray Road, Lane Cove, which was sold prior to auction. As seen on Luxury List. Sydney hosted 927 auctions last week, with preliminary results returning a 62.9 per cent clearance rate across 577 results. Over the previous week, 742 auctions were held across the city and a final clearance rate of 54.9 per cent was recorded. This time last year, 61.5 per cent of the 795 Sydney homes auctioned were successful. REINSW President Leanne Pilkington said agents were happy with the pre-Easter figures. "With Easter next weekend, agents are expecting much lower numbers, but continue to be happy with the consistency in results, despite lower transaction numbers," she said. A new sales record was set for Aspendale, Victoria when three titles sold for $6,700,000 via auction. As seen on The Home Page. In Melbourne, 939 homes were taken to auction this week, increasing from both the previous week (892) and this week last year (873). In comparison, the week prior to Easter 2018 saw 2,071 homes taken to auction across the city. The preliminary auction clearance rate came in at 54.9 per cent this week, down from 55.4 per cent over the previous week and 62.4 per cent this time last year. Real Estate Institute of Victoria CEO Gil King said inner ring suburbs continued to lead the charge in the state. Brisbane hosted 135 auctions, recording a preliminary clearance rate of 49.3 per cent. The represents an increase of more than 50 auctions from the same time last year when there were 81 auctions held for a clearance rate of 43.9 per cent. Apollo Auctioneer Justin Nickerson said while the market continued to show consistency, he wasn't sure how the lower auction volumes over Easter would affect clearance rates. "South East Queensland held true again this week, returning its near on 50% clearance rate for another consecutive week," he said. "Notably, registrations slightly increased, leading to a transition of fewer pre-auction sales and more under the hammer results. "Crowd sizes were also strong, but with the Easter and Anzac period almost upon us, it will be interesting to see the results of the lower volume of auctions in the coming weeks."